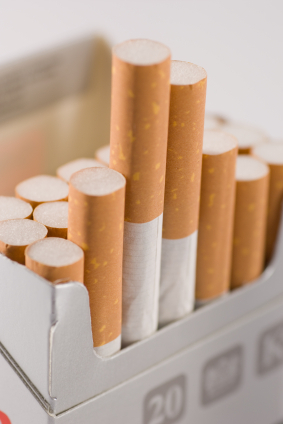 * About 15 billion cigarettes are sold daily which equates to 10 million every minute. Cigarettes cause more than one in five American deaths. Smoking related-diseases kill 1 in 10 adults globally, or cause four million deaths. * Approximately 44.3 million adults are former smokers -- 25 million men and 19.3 million women. * High intensity counseling of greater than 10 minutes can increase six month quitting rates to 22% when added to any quitting method. * Nearly 70 percent (32 million) of current adult smokers said they wanted to quit smoking completely. Nicotine statistics note that among current everyday adult smokers, an estimated 17.3 million (45.8 percent) had stopped smoking for at least 1 day during the preceding year. * Nicotine statistics report that every year, tobacco use kills more Americans than World War II and the Vietnam War combined. Tobacco related illnesses kill 440,000 US citizens per year. (Centers for Disease Control. Cigarette Smoking Among Adults-United States, 2001. MMRW 2003; 52(40); 953-956). * Nicotine statistics report that smoking is highest among persons with 9¬-11 years of education (37.5 percent) and lowest among persons with 16 or more years of education (14.0 percent). Smoking is higher among persons living below the poverty level (32.5 percent) than among those living at or above the poverty level (23.8 percent). * Smoking is hard on the heart and lungs. Most cases of lung cancer, close to 90% in men, and 80% in women are caused by cigarette smoking. Coronary heart disease is the leading cause of death in the U.S. and the leading cause of death caused by smoking. Smoking and nicotine statistics show that tobacco use is expected to claim one billion lives this century unless serious anti-smoking efforts are made on a global level. * The bottom line: smoking and nicotine statistics reflect that every eight seconds, someone dies from tobacco use. That translates to approximately 5 million deaths annually. * The EPA ranks secondhand smoke in the same harmful category as asbestos, radon, and benezene. It is also a major cause of children's illness - yet 85% of adults who smoke and who live with a child do not ensure that the child is not exposed to the smoke from their cigarettes.